House in S´Illot-Cala Morlanda. Hermosa casa con patio y árboles al lado de la playa!!!!!!!!! Penthouse in Porto Cristo. Precioso ático con terraza de 40m2 en porto cristo!!!! Flat in Porto Cristo. ¡excelente oportunidad en porto cristo! 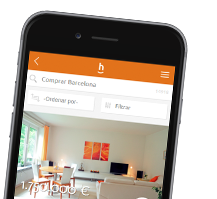 See the whole range of Manacor property on habitaclia.com leading property portal. On habitaclia.com you will find the best selection of studios quickly and rapidly, and if you do not find what you are looking for, save an alert and we will notify you for free.